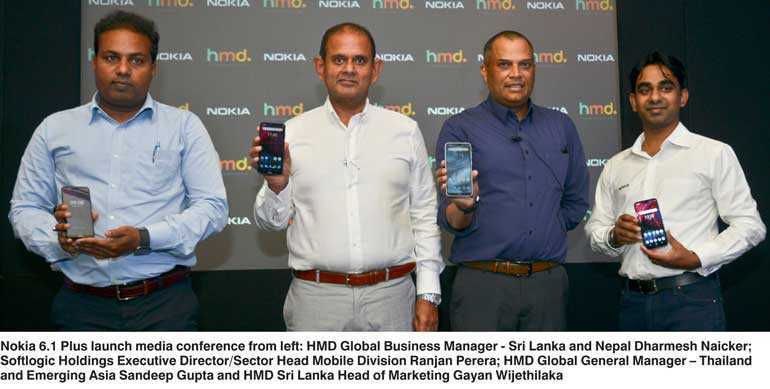 HMD Global, the home of Nokia phones, yesterday announced the availability of the Nokia 6.1 Plus in Sri Lanka, a stunning, contemporary smartphone with an immersive, all-screen design. Built with the reassuring quality you expect from a Nokia smartphone, the Nokia 6.1 Plus gives you a bigger screen experience without a bigger smartphone design thanks to its notched 19:9 screen ratio. Its 5.8-inch Full HD+ 19:9 screen ratio with 96% colour gamut allows for a vivid viewing experience, making the Nokia 6.1 Plus a perfect smartphone for enjoying immersive content experiences. Beautifully crafted according to the exacting standards expected of a Nokia phone, the Nokia 6.1 Plus is encased in Corning® Gorilla® Glass on the front of the phone’s luxuriously curved surface for the ultimate feel in your hand. Behind the elegant looks, the latest Qualcomm Snapdragon 636 Mobile Platform is 40% faster than the previous iteration, making it great for streaming and gaming. The platform delivers first-class graphics and gaming performance alongside battery efficiency enhancements so you can enjoy your audio and video for even longer. Together with optimised hardware and USB type-C fast charging, you can create, edit and multitask effortlessly without having to worry about whether your battery will last through the day. The Nokia 6.1 Plus puts advanced imaging features in the palm of your hand. Powered by a 16MP/5MP dual sensor rear camera that delivers excellent sharpness and detail, you can also bring your photos to life with High Dynamic Range (HDR) which delivers even better vibrancy and contrast, creating a feeling of greater depth. With its rear depth sensing imaging, you can capture professional style images using selectable bokeh blur, which can also be edited after the picture is taken. Capture highly detailed, mirror-like selfies with the perfectly balanced 16 MP front camera and elevate your #Bothie game with AI enhancements on both cameras simultaneously, another first made available on a Nokia smartphone. Use the innovative Dual-Sight feature to live-stream your #Bothies directly to social media to share both sides of your story in real time. The Nokia 6.1 Plus has AI enhancements that bring your stories to life with fun filters, masks and our 3D personas, as well as the portrait lighting that adds captivating lighting effects to your images. 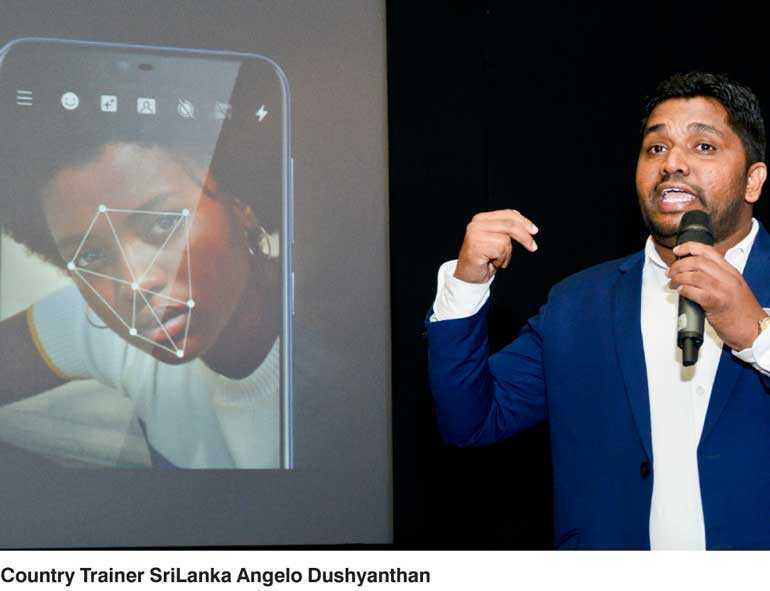 The Nokia 6.1 Plus joins the Android One family of Nokia smartphones, offering an experience designed by Google that is smart, secure and simply amazing. The Nokia 6.1 Plus will stay fresh over time with three years of monthly security patches and two years of guaranteed OS updates after launch. As with all Nokia smartphones in the Android One program, you’ll get more battery and storage space out of the box thanks to a carefully curated set of pre-loaded apps. And you will stay ahead of the game with the latest Google services like the Google Assistant and Google Photos with free unlimited high-quality photo storage. By shipping with Android Oreo out of the box, you’ll be able to enjoy the latest features, including Google Lens, picture-in-picture for multitasking, Google Play Instant to discover and run apps with minimal friction and battery-saving features like limiting background app use. It is also ready for Android Pie. The Nokia 6.1 Plus comes in three colour options - Gloss Black, Gloss White and Gloss Midnight Blue - and is available island-wide. The retail price of Nokia 6.1 Plus will be around Rs. 48,000 with a warranty from Softlogic.